Alibaba Group Holding dominates China's e-commerce sector. But the Internet giant has gone beyond its core business in recent years, reaching out into other fields such as Internet finance, social networking, logistics and entertainment. Together, these investments might seem random, but analysts said they will pay off down the line. The entertainment industry has great growth potential for Alibaba, experts said, and has possibilities to benefit its e-commerce business one day. On Thursday, while the whole country was in their revelry for the weeklong Spring Festival holidays, a piece of news disturbed the Internet sector. Ali Music, a division of e-commerce giant Alibaba Group Holding, announced that it has formed a strategic partnership with K-pop giant S.M. Entertainment Co (SM). Alibaba invested 35.5 billion won ($28 million) for a 4 percent share in the South Korean company. The two firms will cooperate in areas such as online music distribution and promotion, according to a press release Alibaba sent out on Thursday. The agreement will also help SM get more of a foothold in the Chinese market. The deal also gives Ali Music access to SM's music catalogue. As one of South Korea's three major entertainment companies, it is home to popular groups like Super Junior, EXO and Girls' Generation. Ttpod.com and xiami.com, two of Ali Music's music streaming sites, have already made SM's entire music catalogue available through their services, according to a microblog posted on Thursday by Gao Xiaosong, chairman of Ali Music and also a singer and songwriter. Ali Music was founded in March 2015. Compared with archrivals Tencent Holdings and Baidu Inc, which launched their music services long ago, Alibaba was a latecomer to the music business. The deal with SM is important for Ali Music, because Korean pop music, or K-pop, has grown in popularity among young Chinese, who are the major demographic group using online music services. They are also more willing to pay. Alibaba's rivals have already gotten a toehold in the business. In December 2014, Tencent announced a deal with South Korea's YG Entertainment, which is home to the popular group Bigbang and singer Psy. Baidu announced its partnership with SM in May 2014. The three Internet giants have all increased investment in intellectual property as the Chinese government has stepped up enforcement on violators. On July 8, 2015, the National Copyright Administration ordered online music services to remove all unauthorized music before July 31, 2015. More than 2.2 million unauthorized songs were removed from the Internet, media reports said. Ali Music alone removed 26,000 songs from its platforms. Ali Music has made deals with Rock Records Co and BMG in the beginning of 2015. "Ali Music has invested heavily in copyrights, but so far their efforts have failed to attract a large user base," said Zhang Yi, CEO of Guangzhou-based market research firm iiMedia Research. Music sites kugou.com and kuwo.cn, as well as Tencent's QQ music, dominated the online music business in 2015, according to a report from iResearch Consulting Group in December. Ali Music is facing strong competition in the sector, as its major rivals are all loaded, Zhang told the Global Times on Sunday. Alibaba's foray into music is only its latest venture into the entertainment industry over the past two years. In March 2014, Alibaba acquired Hong Kong-listed entertainment firm ChinaVision Media Group, which it later renamed Alibaba Pictures Group. The company has since started to make its own movies. Also, in a bid to encourage ordinary Chinese to invest in movie production, Alibaba launched a mutual fund called Yulebao in March 2014. By buying into the fund, which pays for production costs, individual investors can receive a share of a movie's box office. In addition, Alibaba acquired in November 2014 an 8.08 percent stake in leading domestic movie production firm Huayi Brothers for 1.53 billion yuan ($235 million). Its rival Tencent also bought a 8.08 percent stake in the company. Alibaba has gone beyond production. 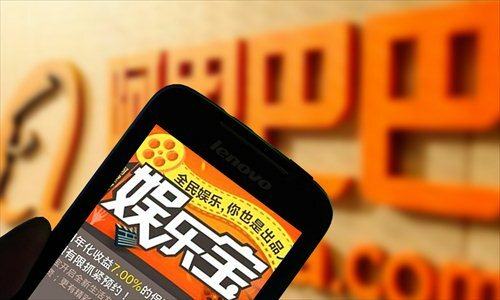 In November 2015, it announced that it would acquire US-listed Chinese online video provider Youku Tudou Inc in an all-cash deal, to tap into the fast-growing online video market. The deal is worth around $4.6 billion. There were also other investments in the cultural sector. Alibaba invested in the social networking site Weibo, acquired Hong Kong's leading English language newspaper - the South China Morning Post - and also invested 1.2 billion yuan in a soccer team, the Guangzhou Evergrande Taobao Football Club. Together, these investments might seem random, but analysts said they will pay off down the line, and most will tie back to its core business. Chinese Internet users are getting used to the idea of paying for streaming media. Song Ke, CEO of Ali Music, told the news portal sina.com in an interview on Friday that some consumers have formed the habit of paying for video streaming services, which is potentially good news for the music industry. Movie industry investments could also have a considerable payoff. China's total box office topped 44 billion yuan in 2015, up 48.7 percent year-on-year. During the Spring Festival holidays alone, the domestic box office topped 3 billion yuan, setting a record for the industry. Long-term returns are without a doubt a major reason why Alibaba made these investments, but a more important factor is that these deals could serve its core e-commerce business, said Hou Tao, vice president of the leading entertainment consultancy EntGroup. For instance, entertainment websites like Youku Tudou and xiami.com, or the video content developed by the company, could serve as a platform to promote stores or products on Alibaba's e-commerce platforms. Users of these entertainment websites could also be turned into users of Alibaba's e-commerce platforms. Tencent formed its movie unit in September 2015, which could also help promote Tencent's social networking and gaming businesses, Hou told the Global Times on Sunday. Zhang from iiMedia shared Hou's view. "Genetically, Alibaba is still an e-commerce firm. What it does now is all for the future of its core business," he said.